President Donald Trump’s anticipated birthday present comes with a reminder: not all gifts are welcome ones. The long-awaited Justice Department inspector general’s report on the handling of the Hillary Clinton emails investigation is due to come out Thursday, which happens to be the president’s 72nd birthday. It figures to provide endless fodder for Trump and his backers to talk about James Comey, Andrew McCabe, Loretta Lynch, and less-familiar names like Peter Strzok and Lisa Page. But news that Michael Cohen may cooperate with investigators in the Southern District of New York – as first reported Wednesday by ABC News – demonstrates anew that Trump only has partial control of the complicated storylines swirling around him. Trump may be inspiring a “cultish thing” inside his own party, to quote Sen. Bob Corker. Efforts to undermine Robert Mueller’s inquiry are well-established by now, and are likely to get a boost on Thursday. But there enough independent operators in tenuous positions to make control of any narratives rather fleeting, even for a president who is gaining ever-deeper loyalty inside the GOP. The immigration debate has come roaring back to Capitol Hill, spurred, in part, by a growing concern in communities across the country about the administration’s enforcement policy that leads to children being separated from their parents who cross the border illegally. The House is set to vote on two reform immigration proposals next week, and now Republicans face an interesting political question: What will party members, who often use phrases like “family values,” do on this issue? And will they listen to evangelical Christian leaders, who so often have their back, but more and more are calling this policy a humanitarian crisis in the making? 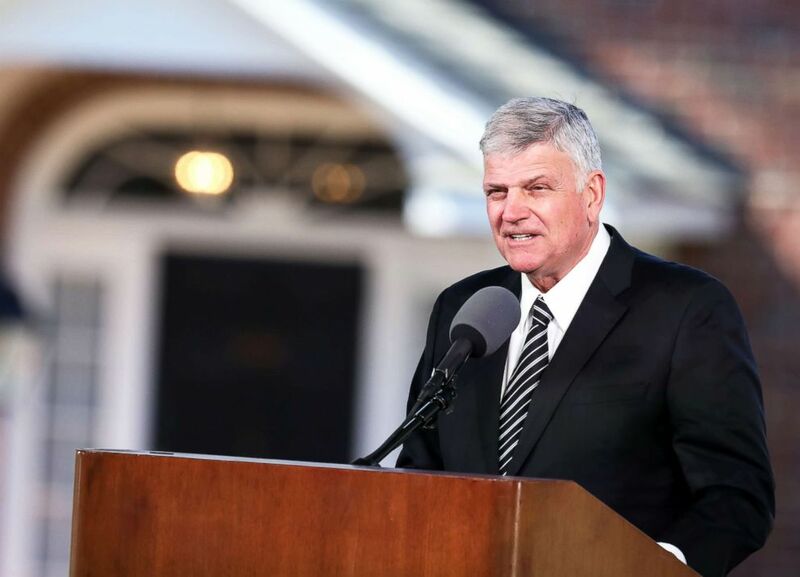 Franklin Graham delivers the eulogy during the funeral of his father Reverend Dr. Billy Graham in Charlotte, N.C., on March 02, 2018. 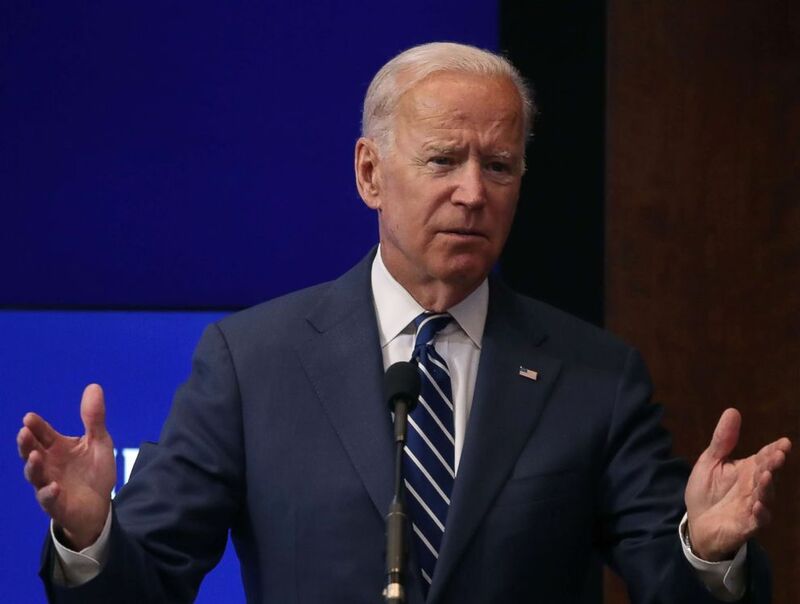 As speculation continues about a possible Joe Biden presidential run in 2020, the former vice president seems to have his sights set on being a player in the midterm elections—and he’s making the endorsements to prove it. With just under five months until Election Day, Biden so far has thrown his support behind 27 Democrats in House and Senate midterm races. Former Vice President Joe Biden delivers a keynote address regarding the future of the middle class, at the Brookings Institution, on May 8, 2018 in Washington. The endorsements and fundraising efforts span 18 different states, and range from old colleagues like Sens. John Tester of Montana and Diane Feinstein of California, to first-time congressional candidates like Rep. Conor Lamb, who won his special election earlier this year in Pennsylvania’s 17th district. Another endorsement went to Abby Finkenauer, who worked on Biden’s Iowa Caucus campaign in 2008 and is now running in Iowa’s 1st district. Biden has also endorsed Democrats in three gubernatorial race: Gov. Kate Brown, the current governor of Oregon, James Smith in South Carolina and Rich Cordray in Ohio. And that’s not all. Biden has issued endorsements in seven special elections at both the state and congressional level in 2018. His track record? Six of the seven candidates Biden endorsed - won. President Trump has no public events scheduled. It’s Donald Trump’s birthday today. He’s turning 72. Vice President Pence speaks at the 2018 National Hispanic Prayer Breakfast and Conference at 8 a.m. House Speaker Paul Ryan, R-Wis., House Minority Leader Nancy Pelosi, D-Calif., and Senate Minority Leader Chuck Schumer, D-N.Y. are also expected to make remarks. Secretary of State Mike Pompeo meets with Chinese President Xi in Beijing at 9 a.m. EDT. Republicans face off against Democrats at the annual Congressional baseball game at 4 p.m at Nationals Park. One year ago today Rep. Steve Scalise and others were shot during batting practice. The Senate Foreign Relations committee meets on the nomination of Harry Harris Jr. to be ambassador to the Republic of Korea at 10 a.m.
At 2 p.m., the Justice Department Inspector General is expected to release a review of the DOJ and FBI's actions during the investigation into Hillary Clinton’s use of a private email server. "The president needed to disrupt the status quo and the president has disrupted the status quo. He should be applauded for doing that." - Speaker Paul Ryan on Wednesday, when asked whether he viewed Kim Jong Un "as a great guy" who "no longer poses a threat to the United States."